Falken Tire, manufacturer of high performance tires in both on and off-road category, earned the two first place finishes at recently concluded Nor-Cal Rock Racing Series in Sacramento, California. The regional race is a sister competition to King of the Hammers (KOH) and Ultra4, which follow many of the similar rules. Justin Hall of Team Tsuda Racing/Rock Hard Racing pulled off the stunning victory in the 4500 class with Falken 37×12.50R17 WildPeak MT tires. Hall also finished at the top in the W.E. Rock series last month with Falken’s high-performance WildPeak MT 38X13.50R17 tires. The entire team was running on specially grooved All-Terrain (AT) WildPeak tires. With heavy rain and hail on race day, the WildPeak MT tire did extremely well with its superior grip during the rock crawling event. 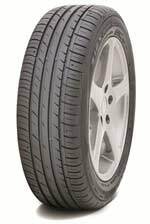 Check out what Falken Tires can do for your ride, HERE. This entry was posted in Tires and tagged falken, nor-cal rock racing series, Tires. Bookmark the permalink. Autonomous Cars, Dashboard Internet, Google Glass… Where Do You Stand on Automotive Technology?